« 225 - A new Dark Age? Following on immediately from the last entry, I look further at what looks like a global change of attitudes. It seems to me, not having yet done any research, by which I mean not yet reprocessing the opinions of others, that we are indeed at risk of entering a Dark Age. I have felt this for some time but the events of the last year push me harder toward that opinion. We have ever-increasing complexity and, it would appear, the pace of change is accelerating. Continued acceleration usually leads to some sort of crash. I have been reading about this and its consequences ever since I discovered the public library more than 50 years ago, so this is no new idea. Many such writers use the opportunity to herald an age of AI; some of these lead to benign situations in which humans become the leisured classes, but that demands solutions to both population growth and to energy supply. Many prefer to describe apocalyptic change, which then leads to much simpler world models (if no less violent) and thus translate, in this context, as a general appeal for a simpler life. The previous essay of the same day, (though it is likely I will change them to differ) points at the complexity of economies, our failure to understand and the subsequent failure to model this at all well. It also points to changes in the way media are mined for news and in which opinion is shared (and, perhaps, manipulated). 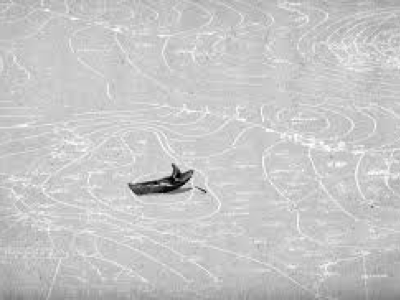 What worries me is the general effect of large-scale complexity to avoid attempting to understand and instead to trend towards simplicity, including generalising those complexities as magic, or witchcraft, or worthy of religious levels of faith. Such shunning of the ability to think—which is how I choose to interpret such a position—moves us from the states of conciliation and consensus that have ruled since the late 1940s to something far more emotional and extreme. Do read what the Huffington Post has, lengthily, on the very topic, found after I’d begun (as you’d expect). No doubt I will discover the Guardian has a Long Read on the very topic, as usually happens. • Economic globalisation is being challenged by economic nationalism. • Extremism versus compromise and consensus may not be new in an historical perspective, but from 1945 until a decade or two ago compromise and consensus reigned largely unchallenged. Ooh, so many similar words; for me, I got there first! • Urbanisation has produced a class of social losers. • Social networking may enhance segregation. • Technology is crowding out human interaction, taking us into a world of communication and interaction among humans, but with actually very little human contact. • Fundamental rights of freedom have gained ground over the preceding decades even if it may not look like that from reading mass media, mainly in the Western World, lamenting the state of affairs in countries rarely analysed throughout. A mix up of fundamental freedom with human rights, freedom of expression, and democracy penetrates almost all writings, blurring the issues. • Illiberal democracies are emerging as a strange hybrid. On the surface they look like democracies, but in reality they violate most democratic principles at the same times as fundamental rights of freedom are under attack and in some cases barely exist. • Xenophobia, albeit in a milder form, is becoming more widespread and creeps surreptitiously onto the political agenda as something everybody knows, but few admit. It is more and more difficult to get into other countries to work; several countries are introducing schemes requiring proof that a national cannot do the job before admitting a foreigner; limits or quotas surface. • The elite versus the majority. The values used to be set by a comparatively small number of human beings — the elite and well-educated strata who possessed a lingua franca facilitating communication among the members of this select group. This has changed with exponential speed over the last quarter of a century. • A new system. The world is passing through one of these rare but tumultuous phases where an existing order is unable to accommodate changes. Possibly the age of economics will be recorded as an interregnum to build the materialistic foundation to take humanity into an age of non-materialistic values as was the case for many ancient cultures. If so, it is unlikely that the shift emerges in the US having been so committed to economic thinking. It’s a provocative (makes you think, not makes you angry) article. Read it yourself. All I did was find it to share. An article from Breitbart holds some relevance, while discussing the fall of liberty: On today’s college campus, classical liberalism is viewed as oppression because it allows, in fact demands, that precepts be examined and subjected to critical thought. Critical thought itself is viewed as oppressive because it leads to objective observations. Objective and quantifiable observations are dangerous because truth is nothing more than how each person feels at the moment, and to challenge those feelings is intolerant. And intolerance of mush-minded relativism is a crime because it offends the feelings of some sub-class of people who have been marginalised in the past. There is no rational discussion with the new anti-intellectual of the left, because they reject rationality on the altar of tolerance and fairness. So, when you wonder why the world seems to have gone crazy, understand that it has. And it is our fault, because we turned our education system over to those who hate the concept of individual liberty. In just two generations, the bitter fruit of that decision is being harvested as the concept of freedom has been transformed from a God-given protection against government abuse of power and coercion to a demand for government protection against normal political dialogue. These diagrams come from an image search, while looking for a lead image to include. Explore further here. 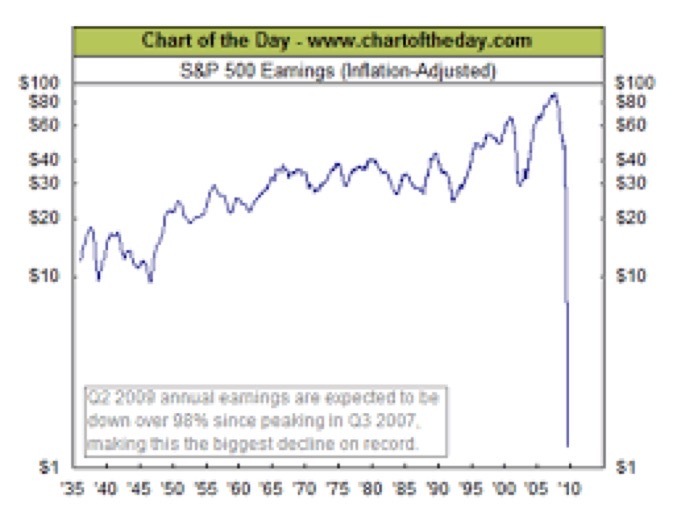 Again from Market Oracle, here is an image that should have a logarithmic scale on the y-axis. What is relevant about the content is the position of average (whichever) and how that moves, say the US and UK down the list. The Dark Ages is a term referring to the perceived period of cultural decline or societal collapse that took place in Western Europe between the fall of Rome and the eventual recovery of learning. Increased understanding of the accomplishments of the Middle Ages in the 19th century challenged the characterisation of the entire period as one of darkness. Thus the term is often restricted to periods within the Middle Ages, namely the Early Middle Ages, though this usage is also disputed by most modern scholars, who tend to avoid using the phrase. The people of North America and Western Europe now accept a level of ugliness in their daily lives which is almost without precedent in the history of Western civilisation. Most of us have become so inured, that the death of millions from starvation and disease draws from us no more than a sigh, or a murmur of protest. Our own city streets, home to legions of the homeless, are ruled by Dope, Inc., the largest industry in the world, and on those streets Americans now murder each other at a rate not seen since the Dark Ages. At the same time, a thousand smaller horrors are so commonplace as to go unnoticed. Our children spend as much time sitting in front of television sets as they do in school, watching with glee, scenes of torture and death which might have shocked an audience in the Roman Coliseum. Music is everywhere, almost unavoidable—but it does not uplift, nor even tranquillise it claws at the ears, sometimes spitting out an obscenity. Our plastic arts are ugly, our architecture is ugly, our clothes are ugly. There have certainly been periods in history where mankind has lived through similar kinds of brutishness, but our time is crucially different. Our post-World War II era is the first in history in which these horrors are completely avoidable. Our time is the first to have the technology and resources to feed, house, educate, and humanely employ every person on earth, no matter what the growth of population. Yet, when shown the ideas and proven technologies that can solve the most horrendous problems, most people retreat into implacable passivity. We have become not only ugly, but impotent. it is patently ridiculous that we can feed us all but fail to do so. That we have people in poverty in rich countries and that we find this somehow acceptable. I’m struck by that comment above that the kill rate in the US is in some way in excess of the dark period of the Middle Ages (and would like to find a data point). • Almost a third of the UK population fell below the official poverty line at some point between 2010 and 2013, figures show. 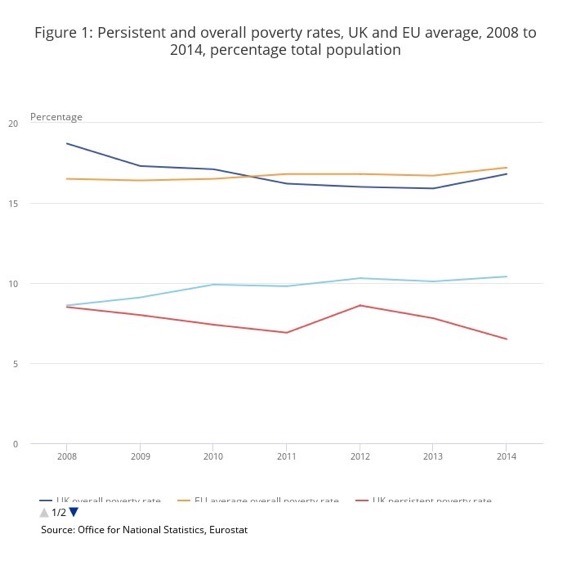 Around 19.3 million people—33%—were in poverty at least once, compared with 25% of people across the EU, the Office for National Statistics found, 20 May 2015. See a related report here, from which this incomplete image comes. The official poverty rate is 13.5 percent, based on the U.S. Census Bureau's 2015 estimates. That year, an estimated 43.1 million Americans lived in poverty according to the official measure. According to supplemental poverty measure, the poverty rate was 14.3 percent. • Historians now say that homicide rates were extraordinarily high in Europe during the Middle Ages—and high in the United States during the early 19th century—then declined steadily until the 1960s. And for centuries, it was villages that were often the scenes of violence. Source, which continues: Professor Stone has estimated that the homicide rate in medieval England was on average 10 times that of 20th century England. A study of the university town of Oxford in the 1340s showed an extraordinarily high annual rate of about 110 per 100,000 people. Studies of London in the first half of the 14th century determined a homicide rate of 36 to 52 per 100,000 people per year. By contrast, the 1993 homicide rate in New York City was 25.9 per 100,000. The 1992 national homicide rate for the United States was 9.3 per 100,000. • The United Nations Food and Agriculture Organisation estimates that about 795 million people of the 7.3 billion people in the world, or one in nine, were suffering from chronic undernourishment in 2014-2016. Explore this. • Population growth is slowing. source. That doesn’t mean population is falling, but that the trend is slowing down. Good, but not, in my opinion, good enough. Solution here is mass education, see other essays and do your own research (and then tell me about it too). 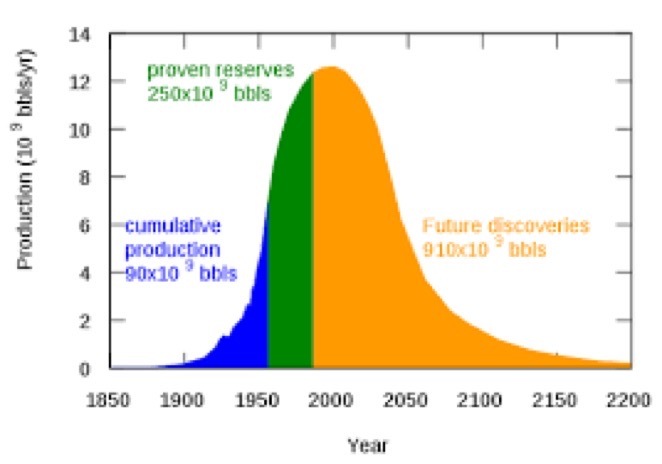 • Energy demands are being met by technological improvement. Forecast & discussion. I tried exploring the possibility that the older nations might be reducing, but found information clouded by emissions data. Hahaha. Try looking here, Figure 4.2, where the overall trend of UK demand to 2035 is damn nearly flat, with the increase less than the growth in renewables. Promising. The text says that 75% of projections increase comes from domestic and transport; so we need to reduce those – more insulation, lower absolute consumption, fewer driven miles, more home-working – all possible with very little change to quality of life. The projection of effect on oil-based fuels within the transport sector drops from 97% to 92% by 2035. I had expected a lot more. Political material, in the sense in which politics is the manipulation of expectations and opinions? http://www.telegraph.co.uk/comment/5105253/Were-in-danger-of-entering-a-new-Dark-Age.html note this is 2009 and how much of it reappears in the Huffington article. a-new-dark-age-for-earth-science/507701/ not much relevant to this discussion. 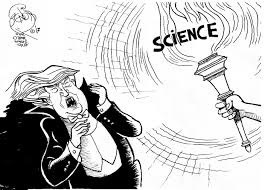 https://www.nytimes.com/2016/04/19/opinion/a-new-dark-age-looms.html?_r=0 decides that we have a growing inability to predict the future, with the exception of the weather. https://www.theguardian.com/media/2017/apr/15/journalism-faces-a-crisis-worldwide-we-might-be-entering-a-new-dark-age quite clearly exploring the consequences of changes in media for the future of the paper press. https://www.theguardian.com/commentisfree/2017/feb/14/wealthy-retire-austerity-pensioners-work similarly predicting no end to work unless you’re rich. http://www.breitbart.com/big-government/2016/05/05/entering-new-dark-ages/ more nearly what I’m after, from an unexpected direction.